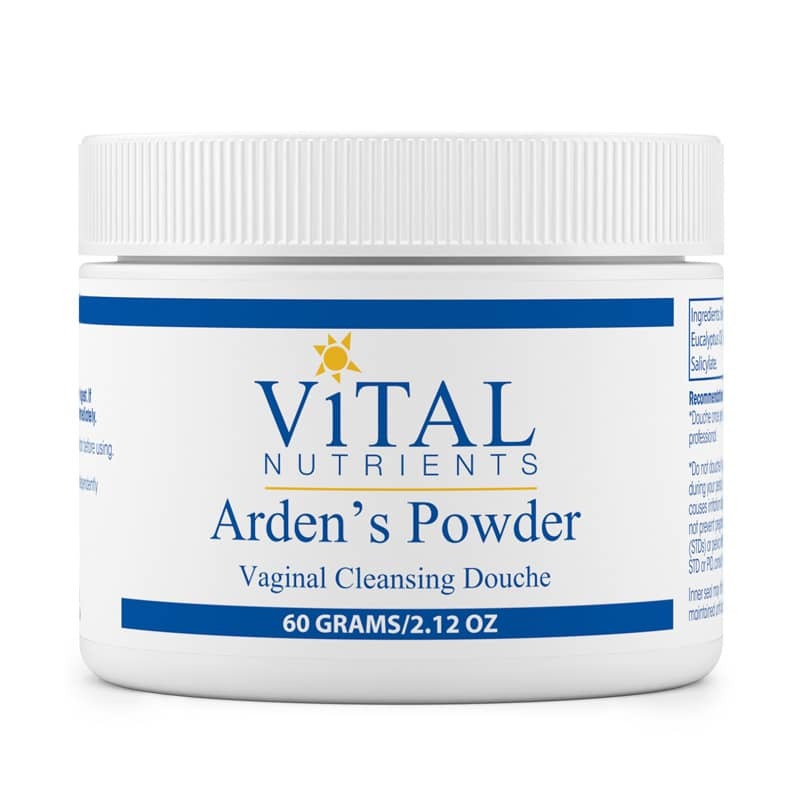 Ardens Powder Vaginal Cleansing Douche from Vital Nutrients maintains healthy vaginal flora and supports a normal vaginal PH of 3.8 to 4.2. Ardens powder is soothing as well as having powerful refreshing astringent properties. Vaginal douching is not recommended during the menstrual period or during pregnancy. Also available is an economical and environmentally friendly reusable douche kit listed under TinyKits. 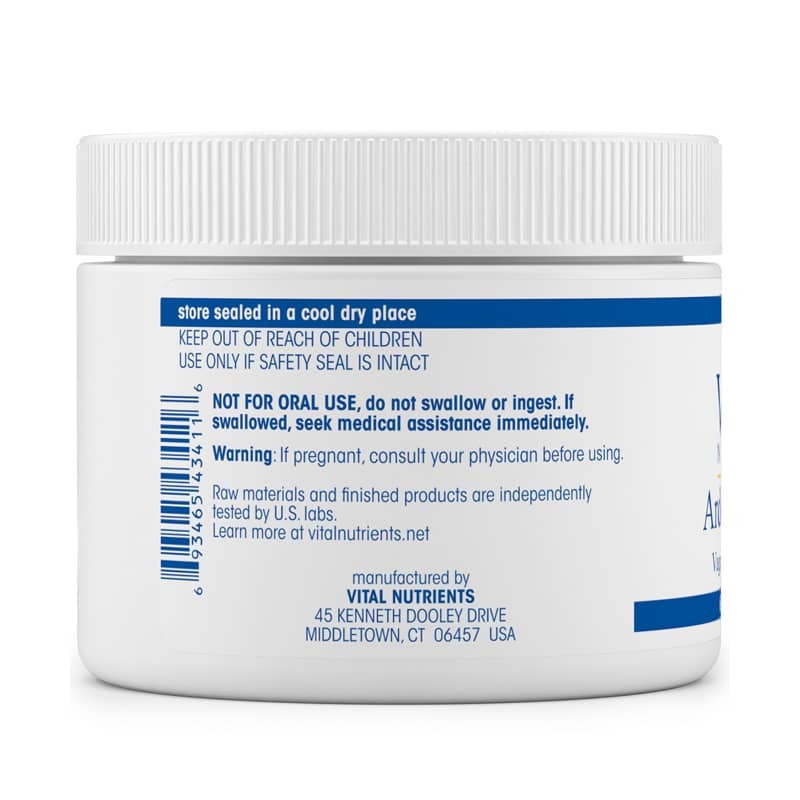 Boric Acid Powder, Alum Powder, Eucalyptus Oil, Thyme Oil, Menthol Crystals, Methyl Salicylate. Adults: Use 1 level teaspoonful diluted in a pint of warm water. Douche once per day for 7 days or as directed by your healthcare practitioner. 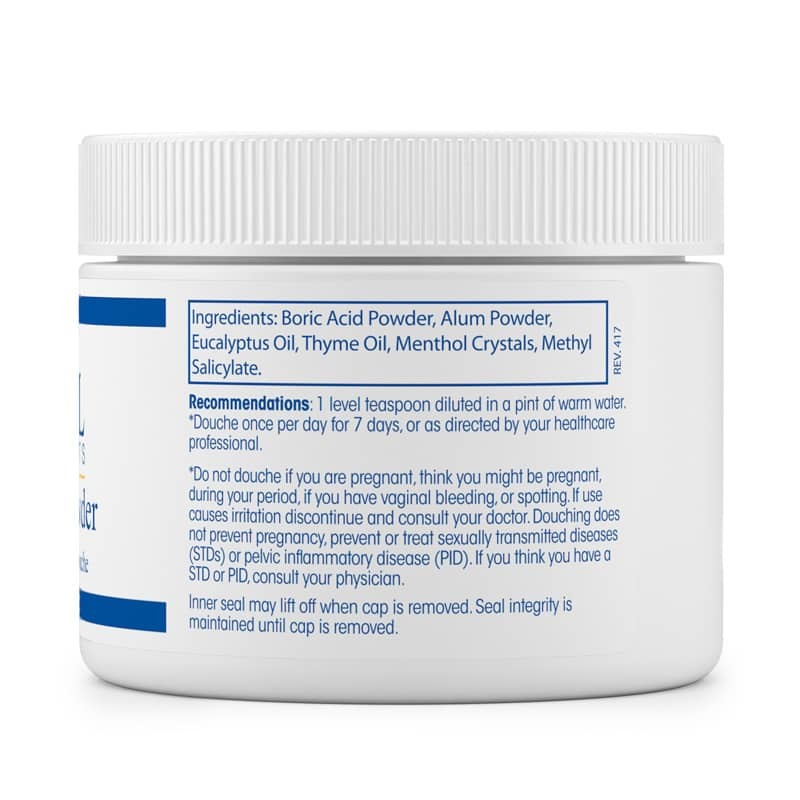 Do not douche if you are pregnant; think you might be pregnant, during your period, if you have vaginal bleeding, or spotting. If use causes irritation, discontinue and consult your doctor. Douching does not prevent pregnancy, prevent or treat sexually transmitted diseases (STDs) or pelvic inflammatory diseases (PID). If you think you have a STD or PID, consult your physician. Not for oral use, do not swallow or ingest. If swallowed, seek medical assistance immediately. Keep out of the reach of children. Ardens Powder Vaginal Cleansing Douche is the best cleansing douche that I have used in a long time. Very refreshing!